Spartan Fleet Vehicles and Services, a division of Charlotte-based Spartan Motors Inc., today announced it has joined California’s Motiv Power Systems, to produce zero-emission all-electric walk-in vans for fleets. Financial terms of the agreement were not disclosed. The contract grants Spartan exclusive access to Motiv’s EPIC all-electric chassis in manufacturing class 4 and class 6 walk-in vans for a minimum of three years. 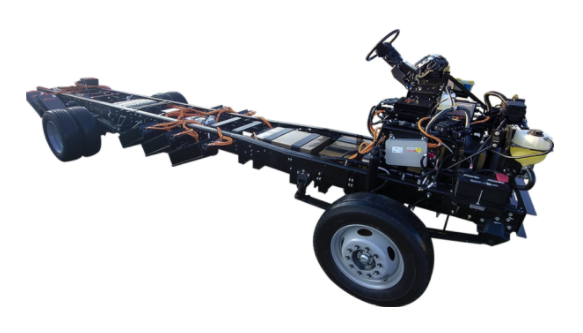 Moriv Power Systems produces all-electric chassis for walk-in vans, box trucks, work trucks, buses, and other specialty vehicles. The two companies are expected to build hundreds of the all-electric vehicles over the course of the agreement. Adams says Motiv’s All-Electric chassis provides universal charging compatibility and secure remote telematics and diagnostics. Each walk-in van has a 100-150-mile range per charge. “Through this agreement, Spartan and Motiv further demonstrate our shared vision that electric commercial vehicles are an important part of our future,” says Jim Castelaz, Motiv’s CEO. Spartan Motors is a designer, engineer, manufacturer, and marketer of specialty vehicles and other products. Motiv Power Systems manufactures all-electric powertrain control systems for commercial vehicles.